Zooming Model List (2018 Updated) Tell us about your newest zoomie! I recently did a review on a budget priced mini zoomie (TactFire TS-1) using the light re-kindled my interest and fascination with zoomies, and made me more aware of how useful they can be, going from a wide even beam with no hotspot – to a long throw beam with less spill. Although I’ve been interested in the larger ones I’m now exploring all sizes of zoomies and I’ve been looking into some of the more recent models of 18650 and 26650 pocket-able size models. I started this thread to discuss and learn about zooming lights that are good for all-around use, flood and throw, and create a list of popular and interesting models. Please relate your experience here (good or bad) with zooming lights, including any modding you have done. Feel free to post photos and links to any currently available lights, including any deals alerts, or any models you feel should be added to the list. I’ve compiled a list of significant, popular and new models that are currently available I’ll try to keep the list and links updated to serve as a reference for purchase options. Models that are no longer available will be noted as such or deleted from the list. Updates: (2/6/18) I’ve updated the list in the OP and added over 20 newer models, deleted discontinued models and fixed any dead links to clean it up and bring it current. Due to my interest in the UniqueFire 14xx 15xx series I’ve also added an extensive list of those in a separate section and included two other UniqueFire series. Of course there are boat loads of low quality zoomies on the market, (G700, Atomic beam etc. etc.) However for the list here I’m mostly trying to include only better quality, popular or new models from trusted brands, plus any budget zoomies that are notable, interesting or a potential host. I’m only listing lights that can run on Li-ion rechargeable cells. UniqueFire makes an extensive selection of zooming lights in many different sizes and configurations, in addition to white light LEDs there are also Red, Green and IR (Infrared) for use with night vision equipment. 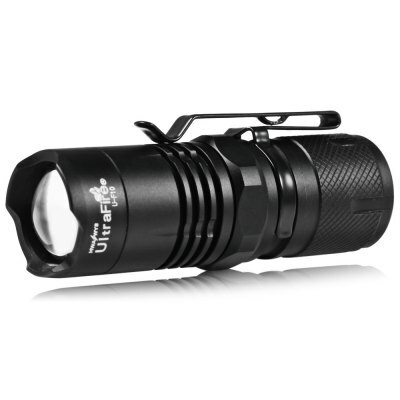 This flashlight appears to be suited specifically for night hunting more than all-around use, it’s mostly sold with an IR or XPE LED, but for all-around use it may work with XM-L2 if you like this style. A kit with the flashlight and all 4 heads is also available, but I didn’t list it here. I got the Brynite B158 in the GB with the XPL HI after the Cometa was a massive failure. Not particularly happy with it, still wish the Cometa had been done right. Did you get the XM-L2 (1A or 5C) or the XP-G2? How does the zoom function operate, push-pull or twist? Same emitter but rated 300lm less than the M3, I wonder if that’s whats lost through the aspheric or if the driver supplies less amperage (in consideration of its compromised ability for heat dissipation) Looks like it would be easy to swap out the driver though. It is sliding zoom via push pull and feels very smooth and sturdy. I’d love to know what emitter and battery it’s using. Thanks, I see its tube diameter is listed as 25mm, do you know if an 18350 will fit in there? Love it so much I do not want to take it apart so ordered a host with extension tube for another led. I’m really tempted to buy this UltraFire UF-10…anyone tried it? If you can swap in the Cometa driver into your B158 you’ll be very happy (if the B158’s emitter sits on a DTP MCPCB). I get 830 meters from my B158 and 737 meters from my modded Cometa (20 guage leads, spring bypasss). Looks kinda like a Nitecore EA11! I got a cheapy little Coast hp1 for my dad. It’s the only cheapy zoomie I’ve seen that isn’t terrible to look at. When its zoomed out its got a decent beam pattern with no extra rings of light. It only zooms so far so you never see the shape of the led. I wish more were like this, using a regular zoomie fully zoomed I always end up backing out just a bit to eliminate the die pattern, just to where the hot spot becomes rounded, this seems to provide better vision as the die pattern disrupts it. I’ve thought about finding a way to do a mod to resolve this so they don’t quite zoom in all the way. Are there any that dont show that square pattern of the led? Lights that use a lens will show the square image of the die when focused, though as mentioned if defocused slightly the square turns into more of a circle. Lights that use a TIR type optic will look more like a reflector beam. LED Lensers don’t project the LED as they have a more sophisticated optical system. I’ll try and post a review of the P7.2 in the next few days. Yep, and if you saw or file off the bit described in the comments, it will allow you to get a fully wide flood. Not for many years. 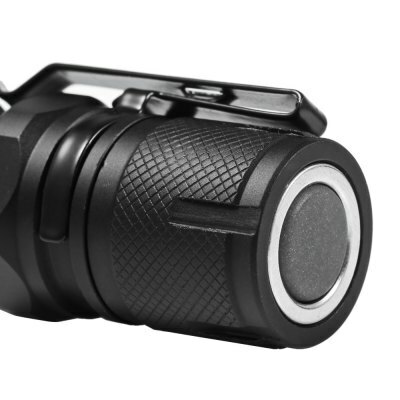 The optics are slightly different, with at full zoom the Coasts having a bullseye hotspot (hotspot and spill) and LED Lensers having a hotspot with no spill. I like mine, feels very solid and high quality. I’m planning on getting an empty pill and fitting a fet driver and dedomed spg2 with springs bypassed just for the hell of it and seeing how far it’ll throw. Heard that set up is a bit of a monster, albeit with a narrow beam. I will have an Ultrafire U-F10 here next week Ordered the first day it arrived on Gearbest ! I think these lights with larger lens fitted with dedomed XPG2s are best as dedicated throwers. They have narrow beams, but when you are looking 300+m out, the beam is 10+m wide, wide enough IMO to be useful. Better to fit them with de domed XP-L’s or even better with dd XM-L2 emitters cause they’ll have same performance as “new and improved” dd XP-G2 emitters and they have larger die which can be useful. Please tell us it comes with solid pill! I'm going to take a chance on it, around the same price as a Big Mac meal! Answering previous queries about the LED Lensers … they do have the nice round hot spot with no spill but I’ve been disappointing with the step down and run time of every one I’ve had … I’d never buy one again. I’ve very recently bought the Coast HP5R which has the tight hot spot and no spill …. I haven’t tested run times that extensively but I have to say so far I’m very impressed with the torch although one of the batteries wouldn’t hold a charge and the retailer have immediately replaced …. Whilst I wanted a small light torch the retailer said the HP7R for not much more money was an awful lot of torch but obviously slightly bigger. Has anyone got either the Ultrafire UF 10 or the Palight M” 600 Palight the OP provided links to at the beginning if the thread and if so what do you think of them??? I’m guessing with both if you zoom right in you’d bet the square rather than a round hot spot ? ?